If you’ve been to Divi Dutch Village Beach Resort on Aruba in the last couple of months, you may have noticed something different about the check-in process. And if you’re one of the many guests who will be checking in soon, you’re in for a treat! 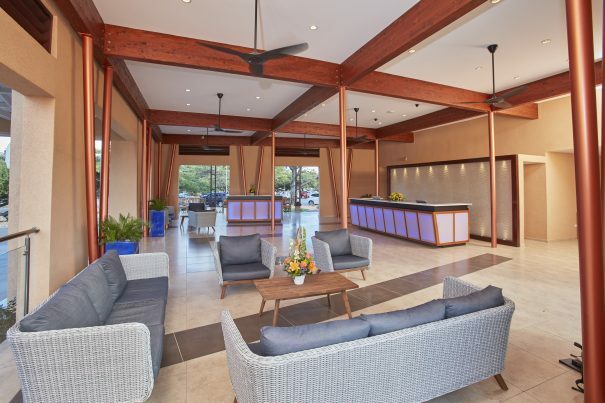 Divi Dutch Village Beach Resort recently opened a brand-new lobby building for checking in and checking out conveniently. It’s easy to find—simply come straight to Divi Dutch Village, where you’ll see the new building in front. It’s the first time that Dutch Village guests have been able to check in and check out right from the resort property. February 12th. I love Dutch Village. We have owned since 1987 and I am happy with all the improvements. Thank you so much, Marion! That means a lot. We love knowing that our loyal owners are enjoying the changes. See you soon!